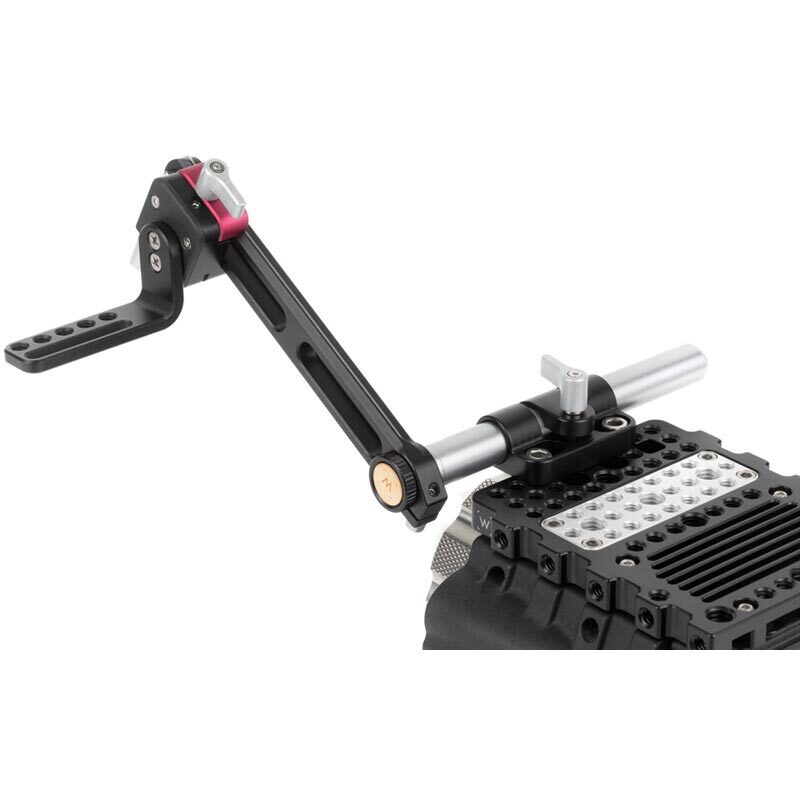 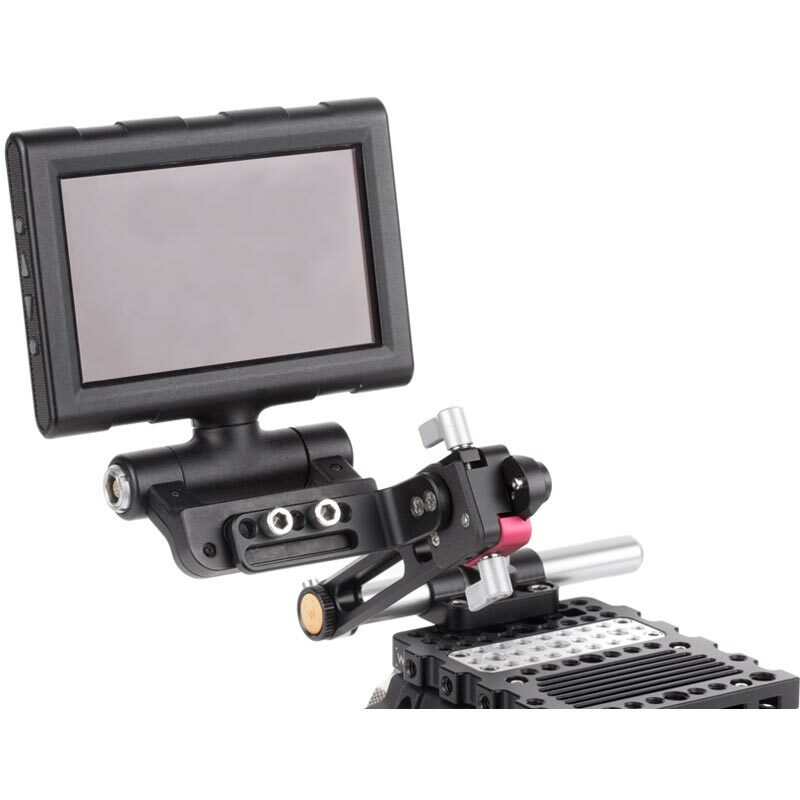 UVF Mount v2 accepts most EVFs and LCDs. 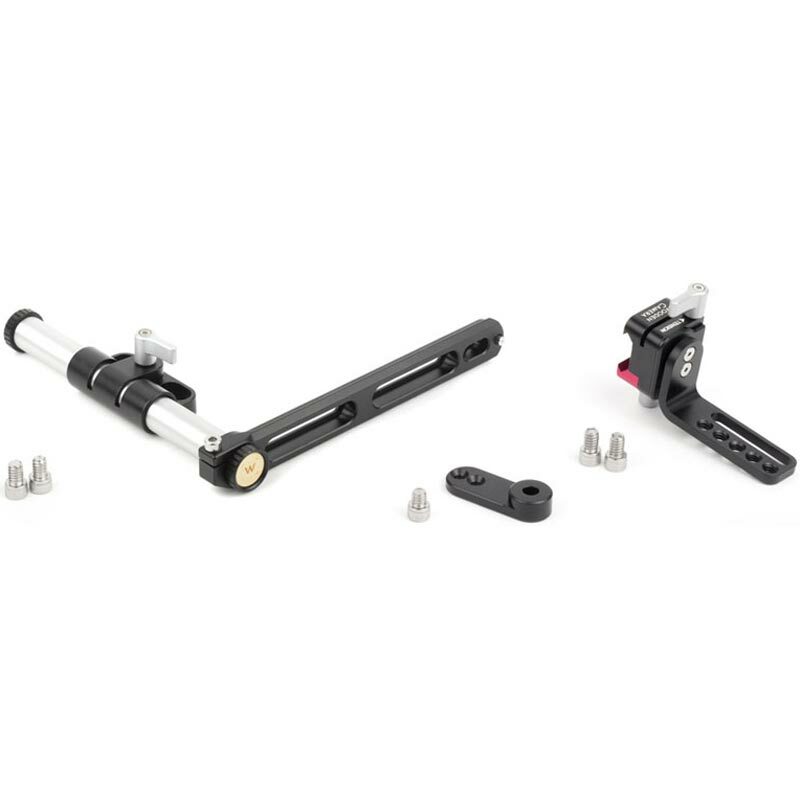 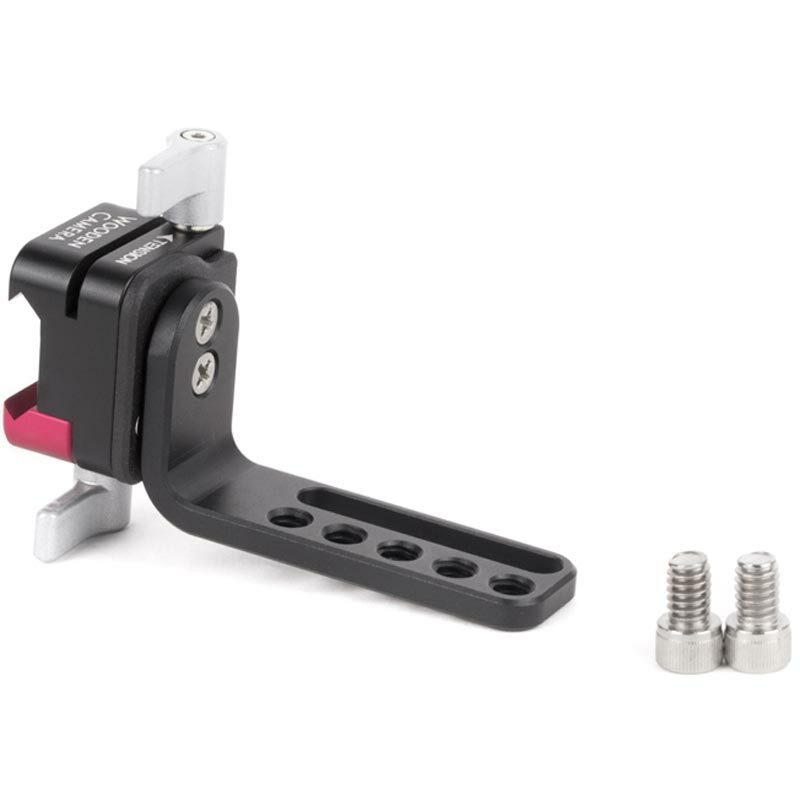 Three points of adjustment: 15mm tube clamp for tilt and distance to the camera, NATO thumbscrew (identified by red component) for positioning on NATO rail, and tension thumbscrew to adjust tilt of EVF. 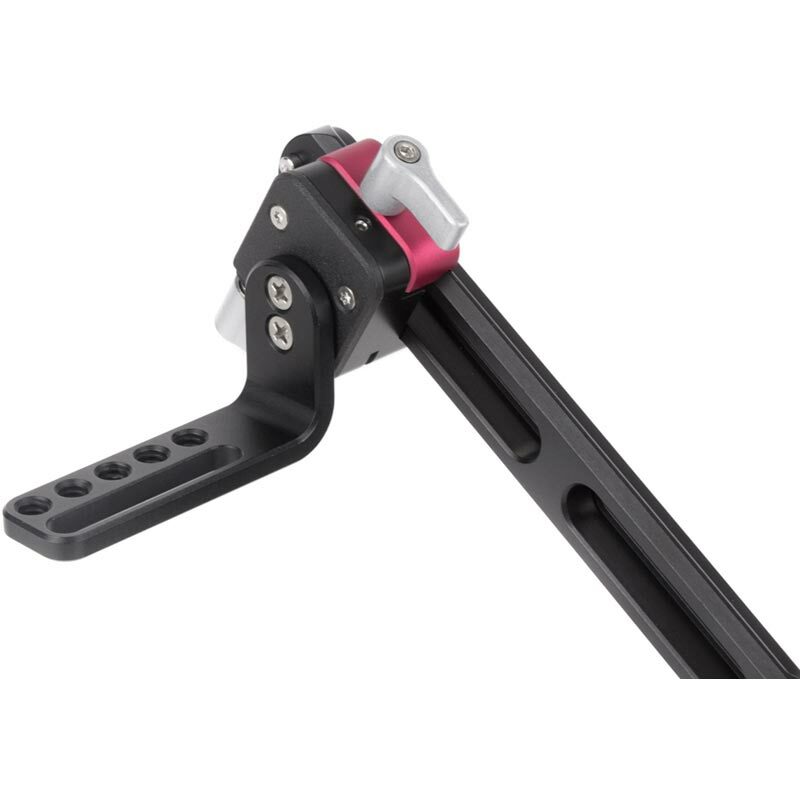 Tool-less design allows quick installation and removal of UVF v2 Sled. 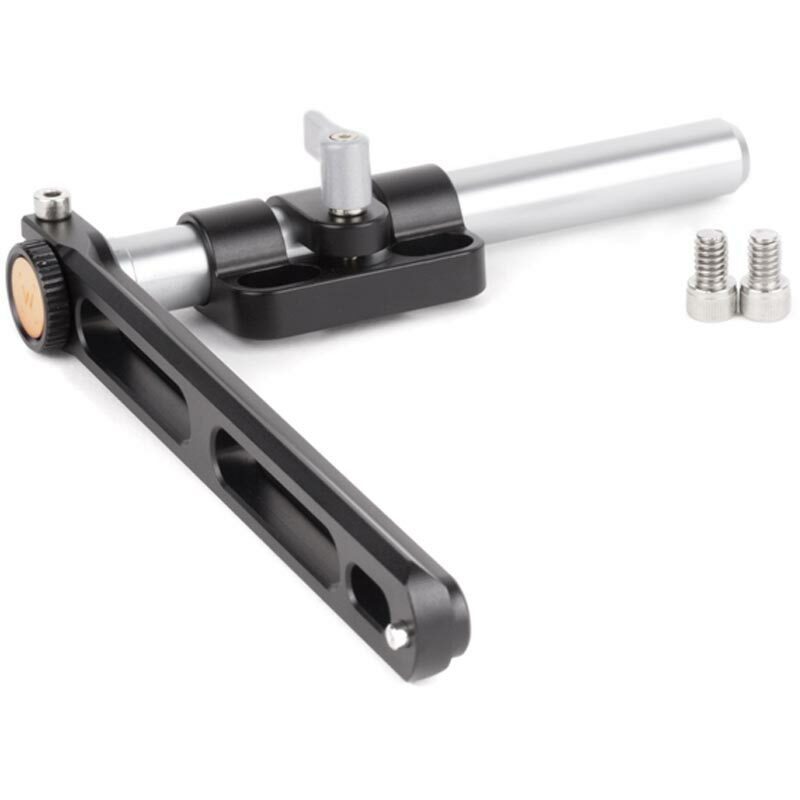 Safety pin prevents accidental removal. 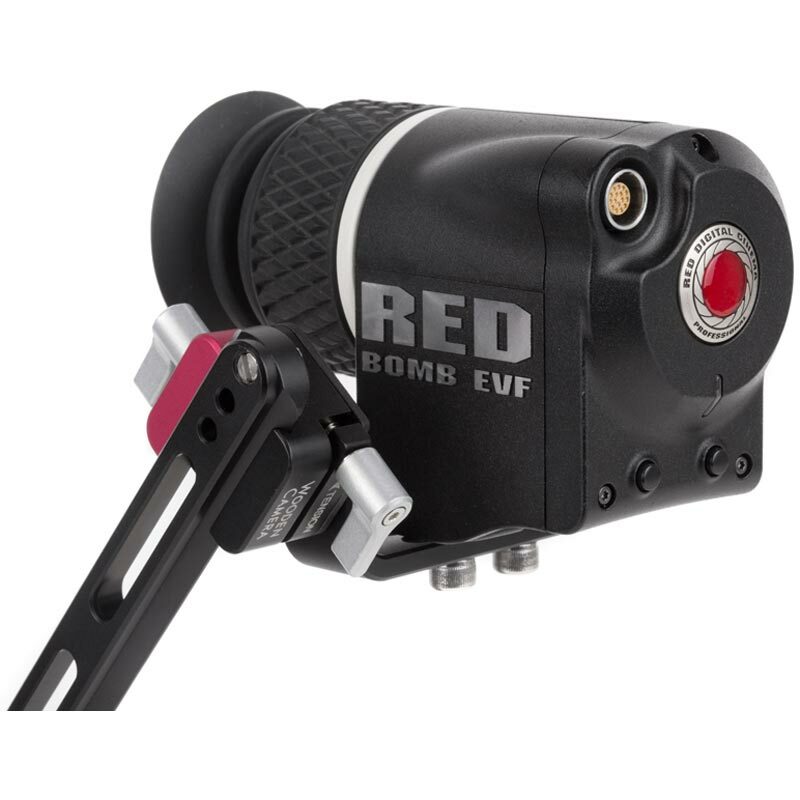 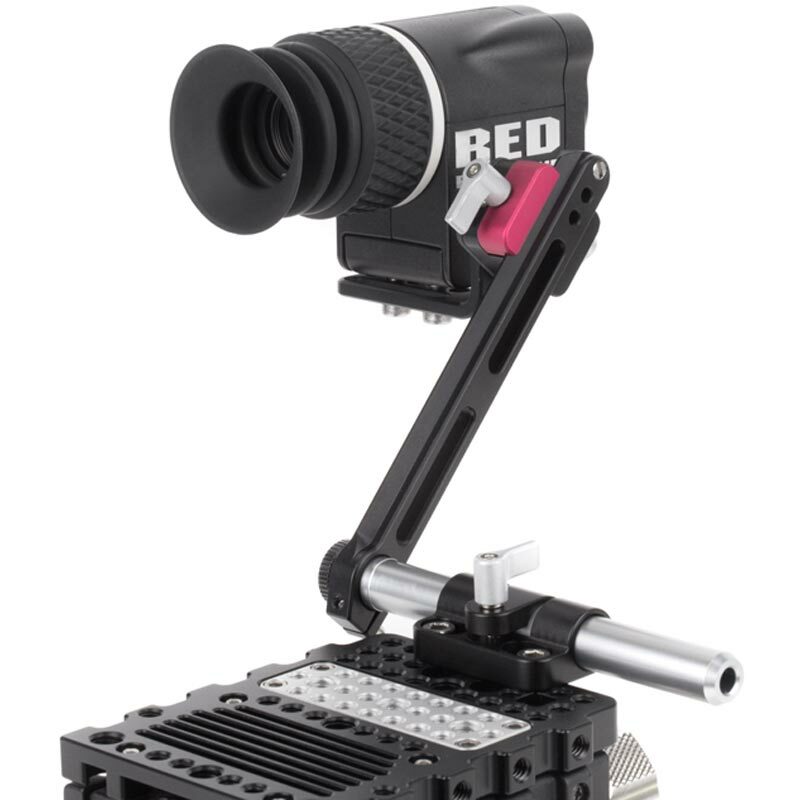 UVF v2 Sled can attach directly to any NATO-style rail and includes adapter for using SmallHD and Alphatron viewfinders.